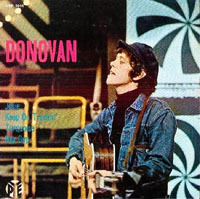 All tracks by Donovan P. Leitch except track 2 traditional arranged by Donovan. · Brian 'Liquorice' Locking: bass on tracks 1 y 2. · Skip Alan: drums on Keep On Truckin'. · Gypsy Dave: kazoo on Keep On Truckin'.